Last week, the yearly grade 5 food drive culminated in a donation of 1,900 food items (worth more than $700) to St. Justin’s Community Ministry Pantry. Students collected items over a period of two weeks, requesting canned vegetables, pasta, rice, beans and other goods. 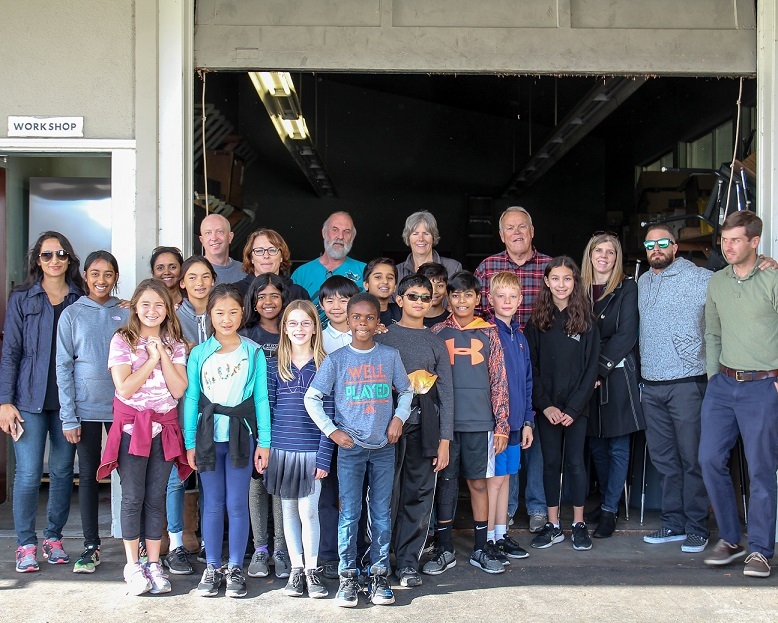 The drop-off was a special occasion for the students and parents, who were joined by former lower school teacher Pat Walsh, who started the food drive more than 20 years ago. Walsh retired at the end of the 2016-17 school year after an incredible 41 years at Harker, and his appearance to help with the drop-off was a fitting way to end a successful effort!